Rain...Rain...go away...come again another day....JUST KIDDING! We are SO glad that the rain decided to bless our farmers! The Hammer Time Crew suited up in Gortex, ponchos & umbrellas and the auction proceeded in the storm. Merchandise was sold to buyers from Gallipolis, West Virginia, Columbus, Greenfield, Amanda, Wshington CH, Kingston, Clarksburg, Chillicothe, Guysville, Piketon, Waverly and Leesburg. Bids hailed down and provided another successful auction for our seller, Mr. Charles Cook. Some of the results included the JD 7000 No till-$4,750; JD manure spreader-$4,000; 16' Valley Livestock trailer-$2,200; CASE IH 5140-$15,600; IH 5100 Seed box-$2,000; IH 715 Combine blew the storm away at $2,500 with the corn head & bean platform bringing $1,300 each. 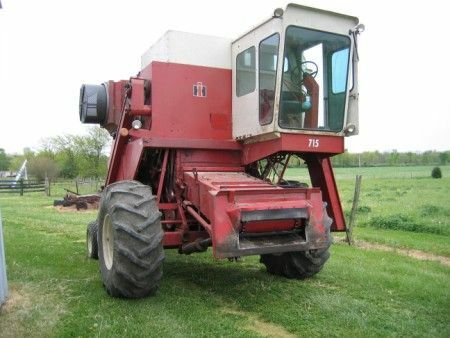 As Agents for Charles Cook, we will sell the following farm equipment at Absolute Auction on his farm since his tillable land is in CREPT Tractors, Round Baler, Manure Spreader, Trucks, Combine, Grain Bins, Cryogenic Tank, Feeders, Scrap. CRYOGENIC TANK: Mac SM-33 American Breeders Service Cryogenics Tank, 33.4 liter capacity. Approx. 14 raised farrowing crates-good shape; hog feeders; 500 gal. clear poly tank; 250 gal. yellow poly tank; fast hitch rd. bale mover; CONTINENTAL fast hitch 12' post hole digger; 8" 3 pt. hyd. post driver; fast hitch cultivator (scrap iron); BIG VALLEY Power coat head gate; stainless steel tank open water trough; (5) iron cattle panels; many used fence gates; ; DELEVAL vacume milk pump; unloading seed auger 10' L x 6" dia. 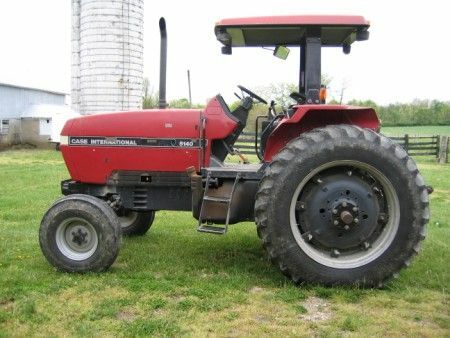 ; galvanized tub; new 5.00-15 4 ply tractor tire; New 9.5L-15 Firestone floatation tire; New 7.50-16 6 ply tube type tractor tire; NEW set of duals for tractor 16.9R38 clamp on style; #3 scrap iron w/40' pipe; alum window frame (scrap); 2 full tractor wheel weights; 5 suitcase weights; antique 45 drawer wooden index card size bollt storage chest 5'W x 1.5' D x 35" H; CRAFTSMAN wood lathe on cart w/2 drawers & tooling; 275 gal. fuel oil tank 65" x 42" ; SUNSET 415 gal stainless steel insulated bulk milk tank approx. 7'x4.5'x32"H (make a great smokers! ); 10' x 3' x 22" open iron tank; 9' figerblass RASCEL Wilderness kayak; concrete mixer w/electric motor or belt driven; saddles, bridles, blankets. Personal Property Terms: Cash or check with photo ID, paid in full at time fo sale; everything sold as-is, where-is, no warranties or guarantees given, expressed or implied. Everything sells to thie highest bidder at absolute auction.